With a big heave-ho and a blowing of a big Bronx cheer, Dr. Bashar Al-Assad, gave the boot to the noisome and leprotic former president of the United States, Barack Hussein Obama. 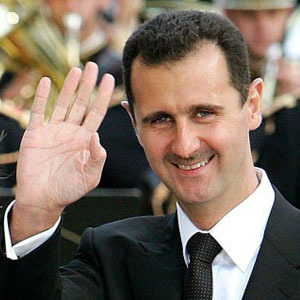 He was the U.S. leader who always confidently stated that “Assad has no place in Syria’s future”. Well, nimrod, where is your future? Other than scamming institutions for speeches filled with empty platitudes, where is your place in Chicago’s sewers? 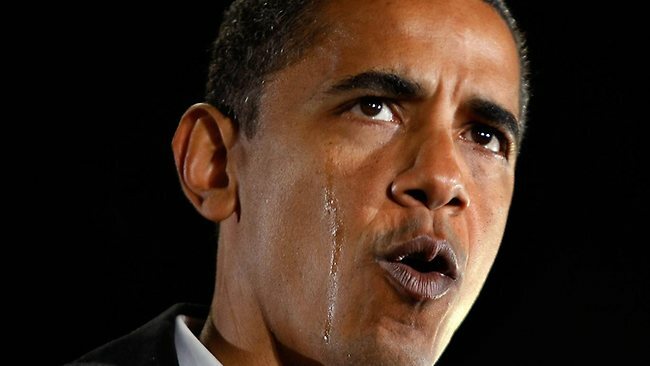 Obama has just joined the list of war criminals, imbeciles, genocidal freaks of nature – and with his entourage of inept spokesmen, “advisors”, secretaries and sycophants – in the twilight world of the accursed naysaying nihilists who populate that dimension of perjury somewhere in a sphincter that opens only for them. Au revoir Sarkozy. Arrivederci, Berlusconi. Ta-ta, Cameron and Blair. Auf Wiedersehen, Westervelle. Ma’ Al-Salaama ‘Abdullah, Hamad and Madame Banana. And a good, rousing Bye to Rasmussen, George Sabra, Ghassan Hitto, Burhan Ghalyoon, Khaled Khoja, the ‘Alloosh Brothers, Zahraan and Muhammad, Ban Ki-Myun. Hasta la vista, Zapatero. And let’s not forget Mark Toner, Kirby, John Kerry and that nincompoop par excellence, Josh Earnest. Fare thee well, Morsi, enjoy oblivion in an Egyptian prison. Sayonara, Davutoghlu. And, not to forget, Khalomoot Paaz, Simon Perske (Peres). 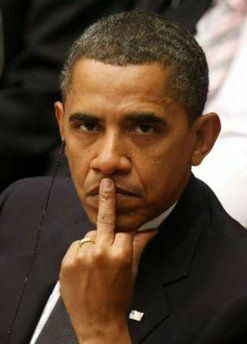 And now, A BIG MIDDLE FINGER UP FOR THAT PSYCHOPATH WHO INFESTED THE WHITE HOUSE FOR 8 YEARS: BARACK HUSSEIN OBAMA. Good riddance to bad rubbish, we always say. Burn in Hell! Grrrrrrrrr. You swine. Assad is brilliant at dodging those loaded questions with supreme honesty and complete dignity and common sense. Mana, they tried to pressure him into a political faux pas and he handled it so diplomatically and yet was not woosing out. I have always been a fan and this sorta validates my apprecitation of this outstanding man. Thanks for this interview, it is rare to find such footage in Canada.